Updated – see also our Cyber Monday deal (but many of these below are still going)! And yeah, with so much noise out there, these are the ones you might actually want to take advantage of. Waves have their brand-new Sibilance vocal plug-in for free with email. (Yeah, I signed up for it, actually.) Looks promising – Black Friday free plug-in. And Waves have a bunch of other discounts and free plug-ins with purchase, meaning you can stock up for a fraction of the normal price. Sibilance, Waves’ newest plug-in, is free this weekend. pluginboutique has iZotope Neutron Elements for free if you sign up for their newsletter, and they’ve put all their plug-in discounts in one place. That means instead of digging through your inbox for lots of different plug-in developers, you can check everything on one page – and pricing starts at just US$1 for some of those plugs (really – check the AIR instruments and effects). Arturia want you to spring for it and own all of this … well, virtually speaking. US retailer Sweetwater are all over this one. Even rarely-discounted gear like Moog is on sale (Mother-32 for $100 off?) They also have some picks of their own on their blog. But Sweetwater’s Roland deals are especially sweet. $399 for the SE-02 analog synth is a steal, and the original TR-8 drum machine is just $299, which might beat what you can get it for used. Going back in time a bit with KORG, Kraft have the beloved original microKORG for US$254.99. And Sam Ash has the brand new IK Multimedia Uno synth for $150. We just covered Tracktion making their engine open source; well, their full range of software is on sale. That includes Tracktion Waveform 9 Basic $60 (or $30 for an upgrade). Visualists, all of Resolume’s VJ and visual tools are half off through Monday. Vidvox VDMX is down to $249 or $99 student/starving artists. I already mentioned that Softtube has deep discounts on their software, including their modular platform and the superb Console 1. These Swedish developers have some of the best sounding stuff out there, so I have to give them a nod. Speaking of excellent boutique emulation, Soundtoys has some serious 50-80% discounts on their plug-ins, including some starting for just US$30. I’ve been addicted to their EchoBoy Jr.; you can go ahead and leap for the non-junior edition, for instance. And Universal Audio have been rolling out one new discount each day for 12 days which are … not the 12 Days of Christmas, but whatever. It seems those discounts stay to the end, so you’ll have all the deals by the last day of November if you set an alarm. And we covered at the beginning of the month a big sale on Output’s bundle of instruments and effects. 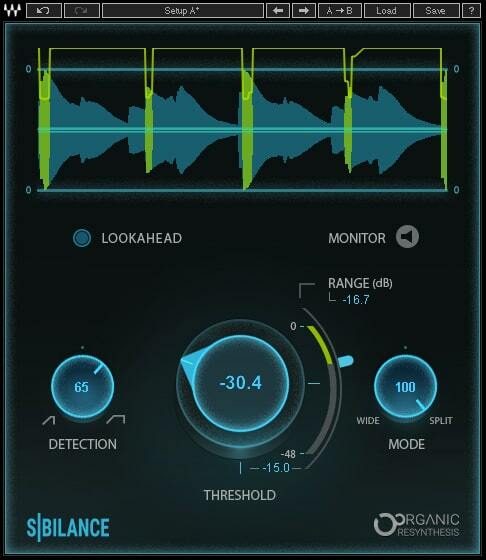 Accusonus’ powerful mixing and production tools are on sale, as well. itsoundsfuture did a nice job of grabbing all the steepest software discounts. Indie darling Bandcamp is seeing loads of self-released producers and small labels doing their own sale. Assuming you signed up for mailing lists when you bought music – and you really should, as it helps artists – you can just search your inbox for loads of little deals. For instance, fans of techno producer Truncate, check out 60% off his whole discography! Most unexpected Black Friday deal? noiiz.com used the opportunity to post their jobs board. So if you need to get a job to, uh, pay for all the stuff above – give them a go.